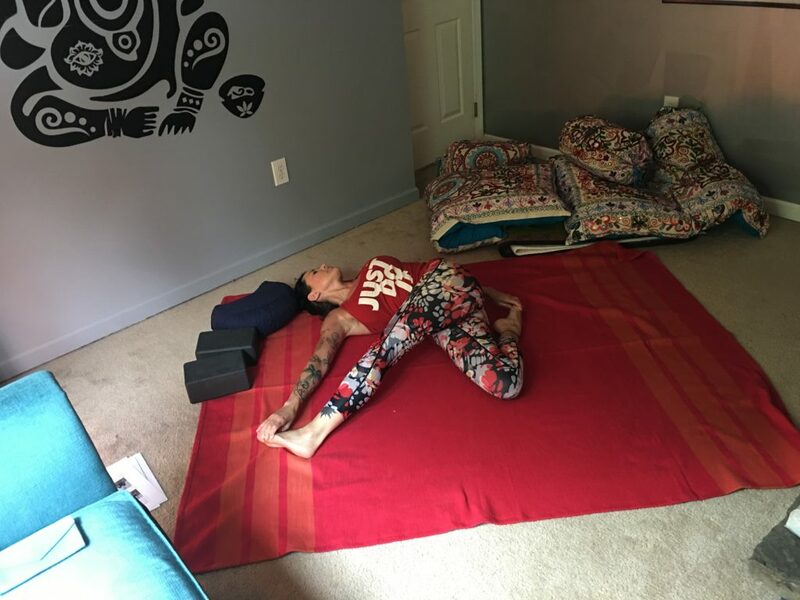 This pose can open your body in many directions at once. In addition to a mild spinal twist you will feel hips, IT bands, chest and shoulders. You may need straps at first to reach your feet. If you have knee issues proceed cautiously when stretching the quad. Do this pose 5 minutes on each side, release the pose slowly, sink in and breathe.